HDMI IN PIP:HDMI IN Picture in Picture function for android box,the best solution for Digital Signage,it can optionally adjust the fram size,position,scale easlly.It's the first Android TV BOX support HDMI IN 1080P record(PVR). For Watching:The powerful CPU brings unbelievable enjoying 4K showing,fantastic experience movies and showing.Support 3D MVC,BD blue-ray ISO,Support HEVC 10bit,support 4K*2K 150Mbps Bitrate. 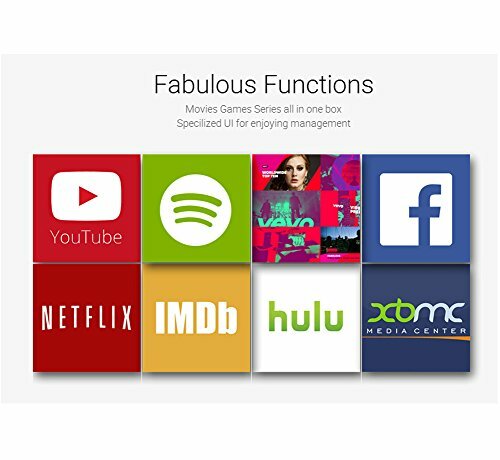 Fantastic ZIUI:ZIUI based on android system,you can have simple APP management,easily find video music pictures file and no need exchange from different APP,support setting passcode of any APP,supports PVR Pre-Recording function by HD/VGA/FHD modes. 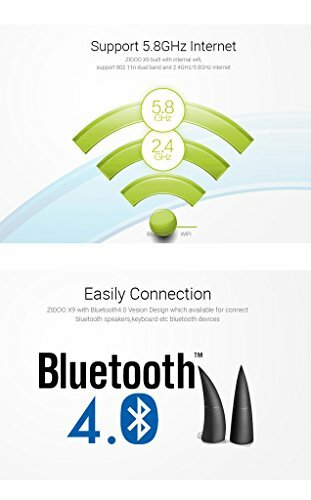 Easily Connection:ZIDOO X9 with Bluetooth4.0 Vesion Design which available for connect bluetooth speakers,keyboard etc bluetooth devices.Built with internal wifi support 802.11n dual band and 2.4GHz/5.8GHz internet. USB3.0 & TF:Support USB 3.0 to make your external transport much more fast,TF card support to 32GB to storage more content you like. Today we are going to be doing a review of the Zidoo X9 Android box. This is a premium device, and the X9 features the Quad core CPU, Mstar 9180, 2 GB of RAM, 8 GB of storage, and the Octa-Core GPU Mali-450. It also comes with the Android version 4.4.2. So, firstly we will find some documentation and instructions, but as usual we say that you should only need these if you are a complete beginner, or have a lot of time on your hands, because these boxes are very simple to use. 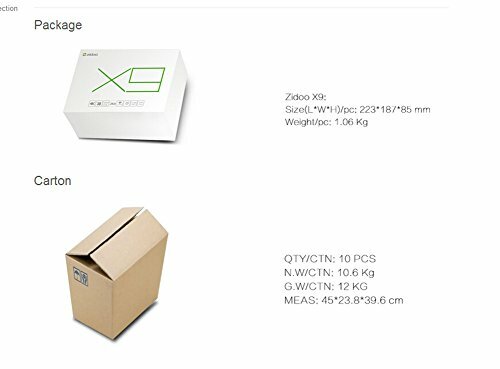 After removing that documentation, we are greeted with the Zidoo X9, which I will go into in more detail in a moment. We will also find the HDMI cable; that will connect this device to our TV. And of course, the power adaptor, which in this case, is for European Union. So if you live somewhere else in the world, just order the right version, or get an adaptor, as usual. Finally, we can remove the IR control, which we’ll test later on in the review. Now let’s take a look at the front of the device. As you can see in the images above, we have that LED clock light, which in my opinion, adds a certain style to this device. However, one of my concerns always with these devices is how bright these front lights are. It is important for a lot of users that they be able to put the device in a bedroom or darkly lit room, without having their eyes distracted by a bright light. The images above actually make the lights look a lot brighter than they actually are, and I used this in my bedroom for a few nights with no distraction. Also, once you put the device in standby mode, the lights go off. So once we turn it on we will have that boot message (when the device is loading up), and then it passes to hello, giving you a welcome message. Finally, it’ll show you the time, which, in my opinion, this actually gives a nice touch to this device. Now, on the left side, we will find two USB 2.0 ports, one USB 3.0 port, and a microSD card slot. 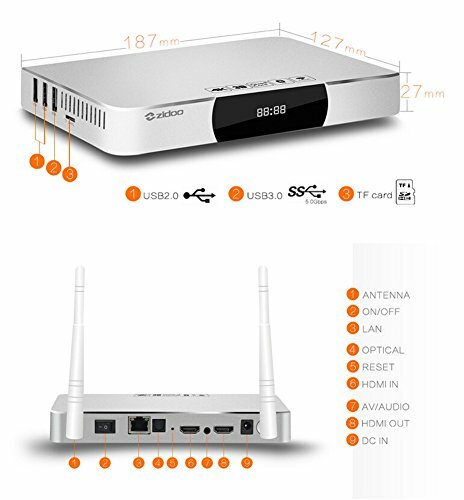 On the right-hand side, we will find no ports; while at the back, we’ll find the rest of the ports necessary to connect this device for TV, starting with the DC IN, HDMI OUT, AV output, HDMI IN, reset button, optical output, internet connection, and an off/on switch. This device has a dual antenna system, which are detachable antennas, but that can be rotated 180 degrees in any direction, so you can rotates them to fit wherever you want to place the box. On the top of the box, there is brushed aluminum that looks great and is of high quality. This is real brushed aluminum, NOT PLASTIC! So you know you are dealing with a high quality device. And at the bottom, also, all metallic, with four, really nice rubberized feet, and the vents to cool the system down. This device really feels sturdy and high-quality; all made of brushed aluminum, and even the bottom part, it’s not plastic, its metallic brushed aluminum, so it really feels and looks awesome. The only part that it’s not metallic is the front black glass that will give us the display. So let’s stop talking about the device, and start using it. The first test that we did is the remote control which is included, the infrared remote. And as an infrared remote, as you know, the signal is not very good, especially as this device is in an all metal enclosure. So once you turn the remote control away from pointing directly at the device, it will not capture the signal. But this is something that you can solve very easily, by getting a 3rd party remote. You can pick up these remotes very cheaply and they are definitely worth the investment. You can check out our review of the best remotes here. The launcher of the Zidoo X9 very nice looking. It’s very fluid with no problems at all and very fast when browsing through the menus. This is one of those launchers that can be very useful for those that are using one of these machines for the first time, as it has everything included. All you have to do is select a theme, and you will have all the apps that you want. But as we all know, this is an Android machine. So if by any reason, you are not totally happy with the default launcher, just go to the Google Play Store, download your favorite launcher, customize it the way you want, and you will have a different looking machine, simpler or more complicated, depending on what you like. Completely up to you and your tastes! Now, before we start testing this device, let’s talk about a feature that I do love on any Android machine (and this Zidoo X9 is not an exception), which is the online update. Once we have a new update available, just press the button, and the machine will do everything for us. Very simple and saves you a lot of hassle! And I’m taking a quick look at some benchmarks; and to start off with, we have the Wi-Fi speed test, where we got about 17 MB of download, and 17MB of upload. Moving to the internet connection through the Ethernet cable, we got about 33 MB of download, and 19 MB of upload. Moving along, to GeekBench 3, we got a score of 338 on a single-core score, and 1037 on a multi-core score. And after watching these benchmarks, I was a little bit concerned to see how this device would perform, and this once again proves that benchmarks are not everything. So in the past, we have seen machines that have high benchmarks, and do not perform that great; and as well, machines that have lower benchmarks, and then performs great. And this is the case of Zidoo X9. The gaming on this machine was great! The first test was the Despicable Me and everything went just fine, except my playing capabilities! Next game on the bench was Cars, which is a simple game (but here, I would like to mention that in the past, some machines did not perform well with this game); and in here, we didn’t have any glitches at all, everything worked perfectly with no freezes whatsoever. So you can definitely play these types of games. Moving on to more demanding games, next up was GT Racing 2, which runs flawlessly. Now this game, as you know, is more GPU intensive, so it pushes the device hard, but it worked great. So, if this is one of those type of games that you like, Zidoo X9 can play it with no problems at all. And to wrap up this gaming performance test, we tried Asphalt 8: Airborne, which is really great. And as some of you might have played this game, even on mobile devices, you know that the graphics are really nice. So once again, everything ran flawlessly. SO moving onto the video capability of the device, our first port of call is KODI, which most of you will want this box for. On every test we ran the Zidoo X9 performed perfectly. The interface ran with no lag whatsoever when scrolling between menus, or when fast forwarding or rewinding videos, and the video playback is perfect! Now on the other hand, we did also test 4K playback while inside KODI, and unfortunately the device went down. We did do this test multiple times; turn off the machine, and turn it on again, and it kept giving the same results happen. This machine had been performing great, but I have a hunch that this was not an issue with the device, but probably a software issue, possibly with KODI, so hopefully it is fixed soon. Using the default player on the Zidoo X9, we can play 4K out of our network perfectly, even when we fast-forward or rewind, there are no problems. So my conclusion here, regarding the playback, the device hardware is totally capable of playing 4K, but there is a small issue on the software side [with KODI]. Hopefully, with these online updates, soon we will have an update which will resolve this. Now, do you remember that HDMI IN that I mentioned at the start of the review? Yes, that’s right, so we can connect any device that has HDMI output to this Zidoo X9. And the result is that you are able to record the content! So you can select the full HD mp4 formats, and you can start recording the screen. You can record to the internal storage or any USB drive. This is a fantastic little feature for recording from TV or recording your gaming. And that’s about it for the Zidoo X9. I hope you have enjoyed the review, and hopefully I could answer most of the questions that you guys had, and if I did not, as usual, just write down below in the comment section, and we’ll get back to you as soon as we can. And on the top of my list, the thing I liked the most is the online updates. So the Zidoo X9 as we mentioned, is capable of online updating, and for me, any machine that is capable of this has my high respect. Because if these machines have a small bug here and there, and they are fixed in the future, I do not have to mess around with files; all I have to do I press the button, go drink a beer, or whatever, and then when I get back, the machine will be updated for me. So this is, in my opinion, a great plus. Next is the enclosure itself, which is all one piece of brushed aluminum which will cover the device, and then a second piece on the bottom. This, besides looking good, and making the device very sturdy, it also acts as a giant cooler for the device. So it will dissipate, or help to dissipate heat from the metallic inclusion, which you can feel when you put the hand on the top, you’ll feel the enclosure is a little bit warm, and that means that it’s dissipating the heat. So a great plus here, on both sides: looks good, and helps to dissipate the heat. Next is the recording capabilities. 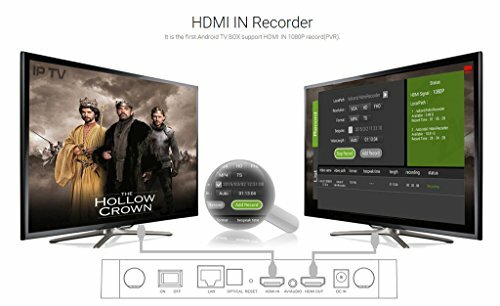 So this device is capable of recording any device that has HDMI output. So this makes this machine an all-in-one because it’s capable of streaming our media, playing our games, and also offering recording capabilities. Next is the Zidoo UI, or the default launcher, if you want to call it that. 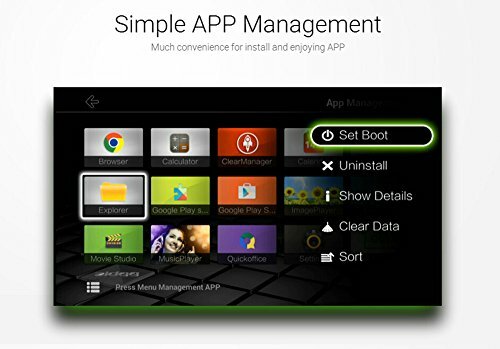 And in my opinion, it is very easy to use, especially for those of you that are new to the Android TV world. And it’s really responsive, so very fast to use, and very intuitive, in my opinion. Of course, one reminder again, this is an Android TV box, so if you want to install your own default launcher, just go to the Google Play Store, as I said, and download your own, and you will have a different view. So this is a great plus as well. And now, let’s go, finally, to the things I liked least, the main one was that the KODI application that did not run 4K. As you saw it’s not the hardware, because I could play 4K files on the network, but not on KODI on the default player. Solid construction and good build quality. Nothing too great but nothing too b ad either. Good middle of the road box. Did someone say infrared remote? Wow, great way for this company to use technology from two decades ago. No wonder the remote Glad you can easily fix this issue by purchasing a 3rd party remote, but hey I’m already giving up on this device because of the infrared remote. The processor that is used in this device seems to be what your paying for the most with this particular device. I wouldn’t buy it, but hey that’s just me!